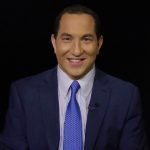 Alexander Heffner was a special correspondent for PBS’s Need to Know chronicling the Millennial vote in 2012. He founded and edited SCOOP08 and SCOOP44, the rst-ever national student newspapers covering the 2008 campaign and the Obama administration, and taught a civic education/ journalism seminar in New York City public school classrooms. His writing has appeared in The Wall Street Journal, The Washington Post, The Boston Globe and RealClearPolitics, among other leading newspapers and magazines. Alexander delivered a talk “Civil Discourse in an Uncivil Age: The Quest for a Post-partisan Citizenship” at the Macquarie University on 21 November 2017.